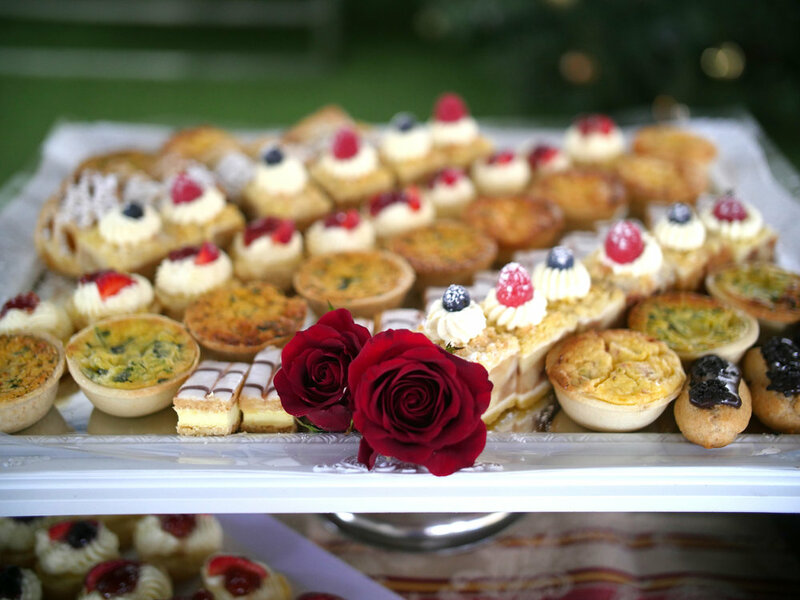 For a delicious Brisbane High Tea ideal for any celebration, see our beautiful High Tea menu for ideas and choices. More than sandwiches and scones, we provide top quality, exquisite layers of petit treats to suit your individual taste, style and careful selection. Penelope’s Pantry has many years of specialist experience in catering for Church events, having been responsible for Catering and Events at Northside Christian College, Nexus Church, Hills Wesleyan Church, Kenmore Baptist Church and many more, capably handling all types of occasion including weddings, baptisms and funerals. Ask about our tailored catering packages, which can be specifically for larger events (over 100 guests - special prices apply). It’s that time of year again and when you want to be bigger and better than last year, a special theme or just a great festive Christmas Party celebration, you can call Penelope’s Pantry and rely on a delicious spread, delivered with great service and style. In anticipation of the big wedding day, it’s common to hold a small party celebration for the bride-to-be to be and shower her with gifts. Penelope’s Pantry is an ideal caterer for Bridal Showers, designing a classy, themed menu that is guaranteed to please. Holding a special event in your own backyard can save up to 50% of the costs of hiring a venue. We will help you assess your space and plan the best way to lay out the event, as well as designing a great menu that will be sure to delight all your guests. When a baby is on the way, a Baby Shower is the traditional way to celebrate its arrival and help to prepare the new mum. Useful gifts and offers of support are accompanied by a mini-feast that we can deliver to your door, fuss-free and fabulous. "...Thank you ever so much for once again providing our community with such delectable fare. All were very impressed not only by the beautiful food but also the way in which you display…Have to say the scones were so light! Again thank you, is a pleasure to confidently know whatever you deliver will be beautiful."